I recently had the exquisite pleasure of dining at Natalie’s Restaurant, and meeting the new executive chef, Geoffroy Deconinck. Elegant and sophisticated Natalie’s has been winning awards and turning heads since 2007. Surrounded by the drama of the craggy Maine coast, the restaurant’s sizzle, style, and flair are legendary. With the arrival of this handsome and somewhat serious Belgian, award-winning Natalie’s has been refined and re-imagined – beautifully. 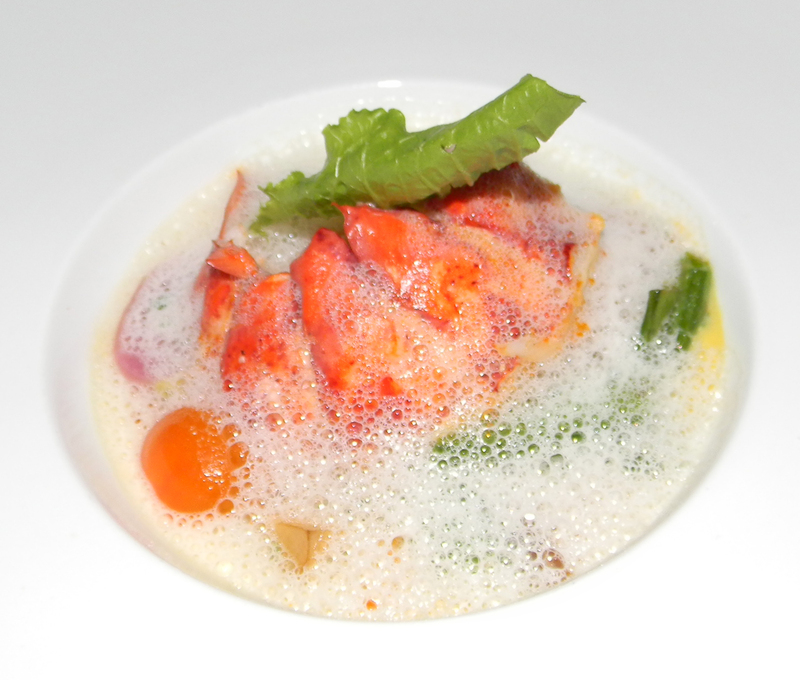 From Pemaquid and Gay Island oysters to sweet, delicate Roasted Maine Lobster, right on through to Crème Brulee, peach sorbet and berries, his meals are thoughtful, adventurous, and flawless. Sommelier Alex Marchesini’s wine pairings complement the menu perfectly, as does his lilting Argentine accent. 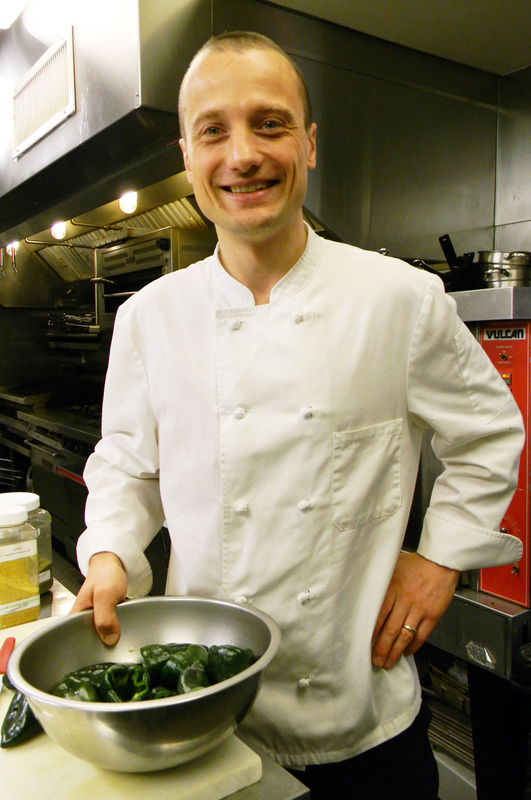 Chef Deconinck honed his craft with the amazing Daniel Boulud at Café Boulud, Daniel, and Bouley in New York City; Alain Ducasse au Plaza Athénée in Paris; and L’Epicerie in Belgium. 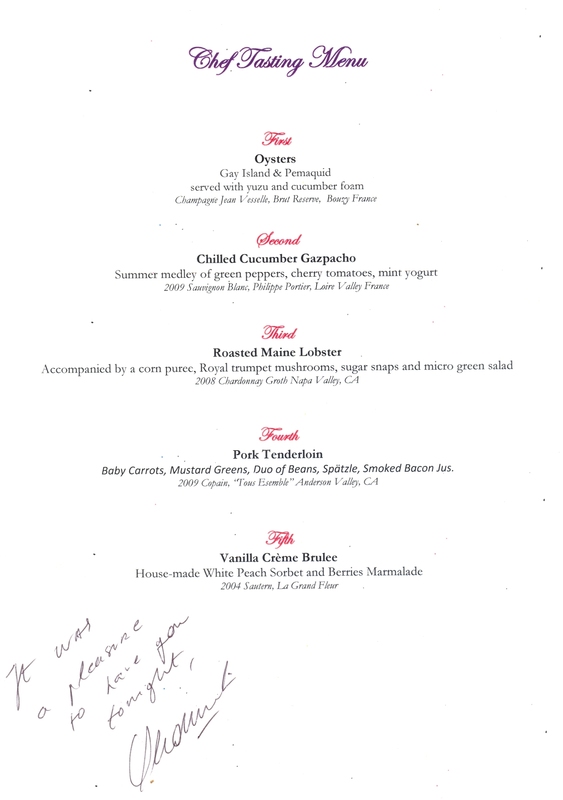 This entry was posted in Food and Wine, Travel and tagged Camden, Camden Harbour Inn, Chef Deconinck, Daniel Boulud, Farm-to-table, lobster ramble NYC, Maine, Maine lobster, Maine seafood, Maine Travel, Martha Stewart, Mid Coast Maine, Natalie's. Bookmark the permalink. I found the food quite good but the presentation a bit overly precious.